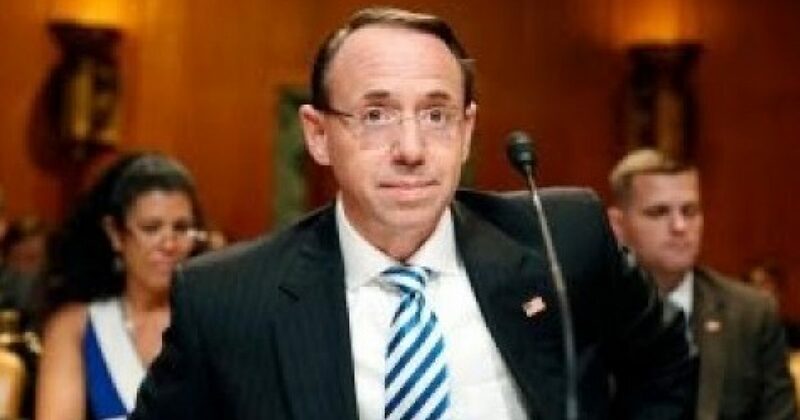 Deputy Attorney General Rod Rosenstein has received a fair warning from Representative Mark Meadows. It seems that impeachment is lurking just around the corner if compliance with requests from Congress is not hastily filled. The Department of Justice has so far succeeded in stonewalling Congress’ requests for documents pertaining to the Russian collusion investigation as well as the Hillary Clinton email and private server investigation. Wednesday on CNN’s “At This Hour,” network congressional correspondent Manu Raju questioned Freedom Caucus chairman Rep. Mark Meadows (R-NC) about the House’s attempt to get documents turned over by Deputy Attorney General Rod Rosenstein. Meadows warned noncompliance could mean impeachment for Rosenstein. RAJU: There is a big fight among the Republicans and the Justice Department to provide a number of records over to the House as part of the Russia and Clinton investigations. Mark Meadow, who is a congressman who sits on the House Oversight Committee and has a resolution case that the House will vote on tomorrow that would actually compel the Justice Department to provide records by July 6, and he told me earlier that if those records aren’t turned over to Congress by then, Rod Rosenstein should be impeached. You have a resolution by July 6 and if he does not turn this over, Rod Rosenstein, should the House hold him in contempt or impeach him?